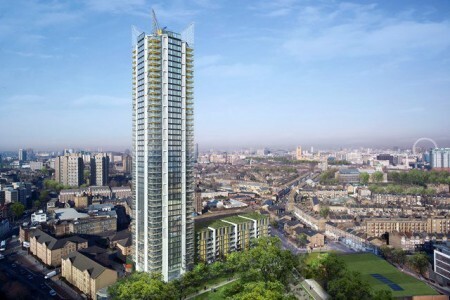 Triangle Fire Systems have secured the contract for the design, supply and installation of a BS9251:2014 residential sprinkler system, an EN12845 commercial sprinkler system and the wet and dry rising mains at Highpoint, Newington Butts in Elephant and Castle. The Mace project is a Greater London Authority development and consists of a 44 storey tower and 7 storey terrace building. The site will be Londons largest long-term rental development. Sprinkler protection will be provided to cover all 457 apartments and the ground and basement car parks.